Recent comments made by native title barrister Tony McAvoy SC regarding flaws in the native title system have caused quite a stir. As reported in the Guardian, the lawyer said that the system “embeds racism,” and contravenes the UN Declaration on the Rights of Indigenous Peoples. 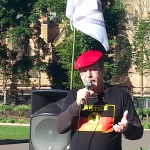 Speaking at the Path of Resistance Symposium in Brisbane on 16 July, Mr McAvoy described a system that leaves traditional owners with little choice but to approve mining developments or risk losing any form of compensation. And in the face of this bias, Mr McAvoy stressed that First Nations peoples must “resist in whatever fashion” they can to protect their land and culture from developments that they oppose, especially mining and resource projects. Last year, the Turnbull government passed legislation that amended the Native Title Act 1993 (NTA), which effectively reversed a Federal Court decision that put the process of establishing an Indigenous land use agreement (ILUA) more in line with Indigenous decision-making processes. The court ruled in February that the Noongar native title settlement – the largest settlement of its kind in Australian history – was invalid. In what became known as the McGlade decision, the court found the NTA required all native title claimants to sign an ILUA or the agreement was invalid. This reversed the 2010 Bygrave decision, which was a ruling by a single Federal Court judge that found it was only necessary for a majority of traditional owners to sign off on an agreement in order for an ILUA to be approved. The decision jeopardised 125 ILUAs that had already been established, as well as the yet to be registered Adani mine ILUA. Dubbed the Adani bill, the Native Title Amendment (Indigenous Land Use Agreements) Bill 2017 passed through federal parliament with bipartisan support in June last year, guaranteeing that past and future ILUAs were valid with majority agreement. The Federal Court hearings brought against Adani by a group of Wangan and Jagalingou traditional owners came to an end in March. They’re seeking to invalidate the Indigenous land use agreement for the Carmichael coal mine in the Galilee Basin. The traditional owners assert that the 2016 meeting that led to a majority vote in favour of the Adani ILUA included a large number of individuals who hold no native title claim over the area and therefore had no right to vote. The decision of the Federal Court is expected soon. Mr McAvoy is a Wangan and Jagalingou traditional owner. And the Wiri man consults from time to time with those who brought the proceedings against Adani. 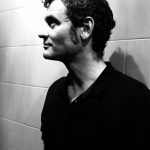 Sydney Criminal Lawyers® spoke with Mr McAvoy, Australia’s first Indigenous silk, to clarify what it is about the native title system that leads to bias, the developments in native title law that occurred last year and the need for the Native Title Act to provide greater protections. 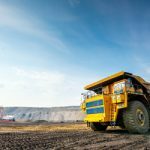 At a recent forum, you stated that the native title system puts traditional owners under duress to approve mining developments or risk losing any compensation. Mr McAvoy, what is it about the way the native title system operates at present that leaves traditional owners with few options? And why is opposing a mining proposal such a risk? To be clear, my comments at the forum on 16 July 2018 were said in the context of a gathering about resistance to mining and extractive industries. My comments were in relation to way the Native Title Act deals with those activities. I am a native title lawyer. I have seen many benefits for many Aboriginal people from having their native title rights recognised. Even in relation to mining, the Native Title Act gets Aboriginal and Torres Straits Islander people a seat at the table where previously we had none. The system for approval mining leases is a little complex. However, I will attempt to explain my concerns here in a little bit more detail than I could at the forum. If a mining lease is sought over lands and waters in which native title has not yet been extinguished Subdivision P of Division 3 of Part 2 of the Native Title Act applies so as to establish a mechanism for the lease to be granted. 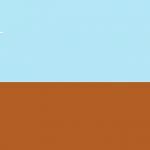 Section 29 of the NTA provides for a notice to be given to certain people and if as a result a group or groups of native title claimants are identified or there exists a group of people who have already been identified as having the basis for making a native title claim, the mining company must then engage in negotiations with that group or groups with a view to obtaining their consent. Consent is expressed by entry into an Indigenous land use agreement between the mining company and the traditional owners. If the mining company has been unsuccessful in obtaining a negotiated agreement within six months it can apply to the National Native Title Tribunal sitting as the arbitral body – created under the NTA – for an approval of the grant of the mining lease by the state affecting the claimed native title rights and interests notwithstanding there is no consent from the traditional owners. The Native Title Act provides at section 33 that in negotiations under Subdivision P in relation to mining the parties may negotiate in relation to payments, including the payment of royalties. And this is the normal course of events. Indigenous land use agreements commonly provide for the payment of royalties in substantial amounts and other forms of compensation. This is where native title claimants and holders are able to get a share of the resources taken from their country in amounts that can provide for the economic future of those particular traditional owners. However, if the traditional owners cannot agree with the mining company for any reason, whether it be that the deal is simply not good enough given comparative royalty arrangements, or the scope of the project is too destructive generally or damages sacred sites specifically, then the mining company must go to the arbitral body for determination if it wishes to proceed without traditional owner consent. Section 38(2) of the Native Title Act then prohibits the arbitral body from placing conditions on the approval of the grant of the mining lease requiring payment to the traditional owners calculated by reference to the value of production or the amount produced – in other words royalties. The fact that the arbitral body cannot make such conditions is known to everybody at the negotiation table and negotiations are conducted under the ever present threat that the mining company can go to the arbitral body after six months, the mine will be approved and the traditional owners will be denied an equitable share of the resource. Any consent given under such circumstances cannot be said to be ‘free’ in the sense of ‘free prior and informed consent’ as required by the Declaration on the Rights of Indigenous Peoples. It is in this sense that the system embeds a bias against traditional owners. That is the point I made at the forum on 16 July 2018. In February last year, the Federal Court ruled that all native title claimants must sign an ILUA for it to be valid. In response, the Turnbull government passed legislation, which amended the Native Title Act to reverse the findings of the court. What are the implications of the amendments the federal government made to the NTA? The Native Title Act is a federal legislative instrument and as such the federal parliament has ultimate authority over its provisions. However, the Native Title Act seeks to give a statutory framework to rights and interests that are recognised on the basis that they are supported by traditional laws and customs, which pre-date British arrival in Port Botany. Neither the court nor parliament has any power to alter, limit or regulate those traditional laws and customs, that authority remains the province of those people who possess those laws and customs. However, the parliament may in certain circumstances regulate how those native title rights are exercised. An integral aspect of any system of laws and customs is the mechanism by which decisions are made. In my experience, under the various forms of traditional laws and customs that exist in Australia, many groups have their own traditional decision-making process. In practice, the application of those rules is often reflected in the composition of the people who together comprise the native title applicant. It may be that each clan, or each family line, has a representative as part of the applicant. The Native Title Amendment (Indigenous Land Use Agreements) Act 2017 had the effect of allowing the native title group to nominate the people it wanted to sign the agreement or as a default that a majority of the applicant – registered claimants – could sign. In my view this is open to abuse. Prior to the bill being passed, you spoke out against these native title amendments and proposed a different solution. What did you suggest in regard to the McGlade decision and the already established ILUAs? And why do you think the federal government didn’t consider the alternate options? It was my proposal that the bill be split. I accepted and continue to accept that the agreements which had been entered on the Register of Indigenous Land Use Agreements between QGC Pty Ltd v Bygrave (No 2)  FCA 1019 and McGlade v Native Title Registrar  FCAFC 10 needed to be confirmed. But that beyond that – the ILUAs which had not been registered and those not yet entered into – ought to be required to comply with McGlade. It was my view that the court could not on the one hand require native title claimants to prove the detail of the differential rights that might exist within a claim group – for example that one clan had identifiable rights – as a demonstration of the incidents of the claimed native title but the parliament on the other hand establish a system which would undermine and ignore those very rights. It remains my view that a more nuanced mechanism is necessary and the time should have been taken to ensure that there is consistency between the case law and the statute law, and the fundamentals of our traditional laws and customs are respected. I will not speculate as to the reasons that the government pressed on with the full amendment rather than taking its time. 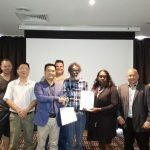 At the recent forum, you mentioned that in 1998 the federal government suspended the Racial Discrimination Act 1975 in order to amend native title laws to the benefit of mining companies. What sort of changes were made? And what was the result? Following Wik Peoples v State of Queensland (1996) 187 CLR 1 in which it was held by the High Court that native title rights and interests could coexist with pastoral leasehold in western Cape York, the prime minister, the Hon John Howard produced a 10 point plan for the amendment of the Native Title Act. Although it is generally considered that only 7.5 of the 10 points were ultimately passed into legislation, the effect on the Act was substantial. The present future act system was created and included provisions for the approval of acts that are likely to affect native title, but without giving rise to an immediate obligation to pay compensation as is the case when any other interests in land are affected. The act introduced the notion of previous exclusive possession acts which were given the legislative effect of extinguishing native title. Native title was otherwise extinguished by public works and infrastructure. And the right to negotiate in respect of mining leases was established in a manner that left the National Native Title Tribunal sitting as the arbitral body with very few bases upon which an application for approval of a mining lease could be refused. 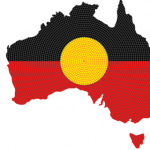 In 1998 the United Nations Committee on the Elimination of Racial Discrimination (UNCERD) called on Australia to provide information to it in relation to the Native Title Amendment Act 1998. In March 1999, that committee found that the Amendment Act discriminated against Indigenous title holders by validating past acts, extinguishing native title, upgrading primary production and restricting the right to negotiate. 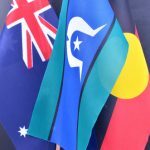 The committee called upon Australia to take urgent action to address these concerns, suspend the implementation of the amendments and reopen discussions with representatives of the Aboriginal and Torres Strait Islander peoples. The Australian Government rejected the decision of the UNCERD. “(1) This Act is intended to be read and construed subject to the provisions of the Racial Discrimination Act 1975 . Section 7(2)(a) must be interpreted as meaning that the functions and powers are not subject to the Racial Discrimination Act, it is only the performance of those functions and powers that may be scrutinised. In 1982, Eddie Mabo and other Meriam people of the Torres Strait put in a claim for land rights to the Murray Islands. A decade, later the High Court of Australia handed down the Mabo decision, recognising the Meriam people hold native title over part of their traditional lands. And the following year the Native Title Act was passed. Many Indigenous rights activists have argued the focus on native title rights and the move away from land rights has been detrimental for Aboriginal and Torres Strait Islander people. In your opinion, what has been the effect of replacing land rights with native title? Native title is a form of land rights. However, in the general sense land rights is understood to be about the ownership of land. At the time of the Mabo decision and the introduction of the Native Title Act, there was some hope and expectation that native title would actually live up to its name and be a form of title, as it is in Canada where it is referred to as Aboriginal Title. However, when the decision in Western Australia v Ward (2002) 213 CLR 1 was handed down by the High Court in 2002, it became apparent that native title in Australia would not be this sui generis singular right but rather a bundle of rights. It was a matter of grave concern for many that even a recognised native right to exclusively possess land would not be recognised as form of title. Both, yourself and other Wangan and Jagalingou representatives have stressed that your opposition to the Adani mine has a focus on culture, rather than environmentalism. Can you expand on why this is a necessary distinction to make? It is not the case that those of us Wangan and Jagalingou people who are opposed to the mine are not concerned about environmental matters. We are. However, our primary concern is protecting country from being destroyed. Our country has great cultural importance and value. We are not ignorant of or immune to the problems that the continued exploitation and use of fossil fuel poses for us and all Indigenous peoples and humanity in general. Of course that concerns us, but is secondary to our right and obligation to protect our country. The distinction has always been there for us, but has only been reported in response to the other media reports that have asserted we are somehow being used by the environmental lobby. How do you see this resistance developing into the future? And what are some of the other areas where the native title system could be improved or is there a need to bring about a new system to deal with land claims? First, my comments were not intended to be a call to resistance against the Native Title Act as a whole. They were intended to say that where traditional owners are opposed to development and in particular mining, then the Native Title Act will be of very limited assistance, and that we must look elsewhere to find avenues for resistance. This includes but is not limited to using the media, other lines of legal argument, forming alliances and looking to international support. Having said the above, the broader native title system has worked well for many groups and not so well for others. But there is considerable room for reform. At the recent National Native Title Conference in Broome, Senator Patrick Dodson posed a rhetorical question as to why there needs to be a process of extinguishment of native title when, equitably, native title ought to be able to continue to exist and be revived when the current or past uses have expired. Others are calling for the transition to a tenure-based model of land holdings. The Australian Law Reform Commission (ALRC) carried out a detailed review of the native title system focusing on the connection test and published its report in June 2015. The ALRC inquiry was established by the Hon Mark Dreyfus QC, when he was attorney general in the Gilliard/Rudd ALP Government. The inquiry was, in part, prompted by the suggestion from former Chief Justice of the High Court, Robert French, that one means of alleviating the very onerous burden of proving the existence of native title rights was to make a modest amendment to the Native Title Act to provide for a presumption that there has been a continuity of connection by traditional laws and customs from pre-British times to the present day. Although, the ALRC did not ultimately recommend the insertion of such a presumption, it may be a matter that requires further consideration. As with all modern legislation, ongoing refinement of the Native Title Act is necessary. If any government were concerned about the racially discriminatory provisions or consistency with the United Nations Declaration on the Rights of Indigenous Peoples, then a whole host of amendments would be necessary. I should also add that greater protections need to be built into the Act to ensure that state governments, who are almost always the primary respondents, act honourably, consistently and in the spirit of the Native Title Act which, in its preamble, promises land justice. In native title proceedings the role of the state governments is to protect the interests of its constituents. However, it is sometimes the case that the states seem to have forgotten that Aboriginal people are also its constituents and it has a balancing role rather than an unbridled oppositional role. “We know too that the agreement under s 87A of the NTA, and thus the proposed consent determination, does not take effect immediately. It takes effect only if the ILUA executed by the parties on 14 August 2017 is registered. The ILUA is confidential to the parties but the intersection of the processes, time and effort dedicated to the agreement of the ILUA and the agreement under s 87A cannot be ignored. Because the negotiation of ILUAs directly impacts on the capacity to resolve native title claims in a manner which is efficient, timely and at a cost which is proportionate to the importance and complexity of the matters in dispute, the Court cannot remain passive merely because it is an ILUA which is causing delay. Of further concern is the adherence – or lack of – by the various manifestations of the Crown to the Model Litigant Principles. In each state and territory, and the Commonwealth, a form of Model Litigant Principles has been adopted. One of the primary obligations of a model litigant is to act with consistency in the handling of claims and litigation. From time to time it becomes very difficult to see how the Crown is acting in a manner consistent with its previous decisions. This inconsistency is particularly pronounced where the Crown chooses to hotly contest matters in which the lawyers and the claimants all know that the Crown has consented to other claims in neighbouring matters on very similar evidence. Apart from being exceeding cruel, it undermines the confidence in the system. Of further concern is the absence of funding for native title defences to fisheries and other regulatory prosecutions. Even though section 211 of the Native Title Act provides for a full defence to such prosecutions on the basis that the activity has been done in exercise of native title rights, in NSW neither the Aboriginal Legal Service, Legal Aid Commission nor the NTS Corp – the body funded to assist traditional owners to make native title claims – are funded for this form of litigation. The reality of running a native title defence is that the preparation is substantial and the hearings will potentially take many days or even weeks. I am certain that as a direct result of this gap in the system, numerous fishermen, in NSW at least, have been imprisoned when a lawful defence was available. It should also be noted that the Native Title Act also provides for compensation claims. The compensation claims process is incredibly burdensome upon traditional owners and unless some just mechanism for speedier resolution is found, we will be conducting expensive compensation claims off into the distant future. In answer to the final part of the question, I think it is probably too late to bring about a new system of land claims. However, in my view, any discussion between traditional owners – or First Nations – and government under the label of treaty must include some land reform in order to provide for each traditional owner group to be possessed of a proper land base protected by title.